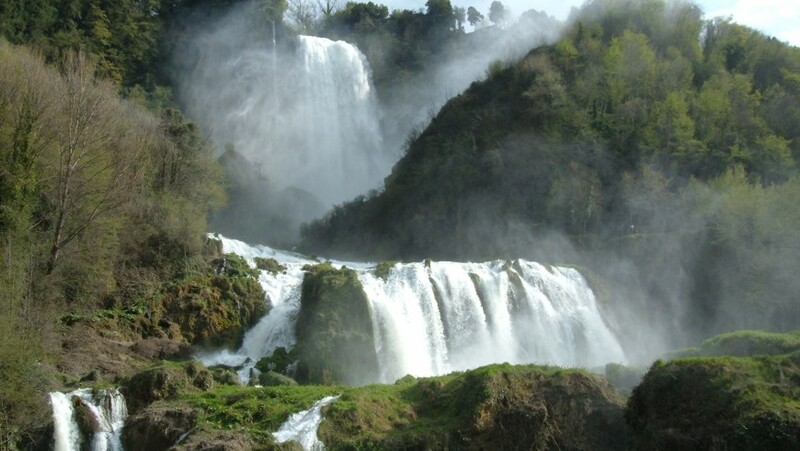 Marmore Falls: Italy’s most famous waterfall is a must-see for anyone visiting Umbria. 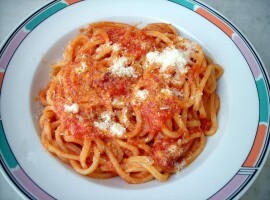 Here’s some tips for an unforgettable weekend in this corner of Italy. Its beauty will leave you speechless, as it has fascinated poets and writers over the centuries. Marmore Falls is surely one of the natural jewels of Italy and today we want to give you some tips and ideas for living at best this magical place in a green weekend. 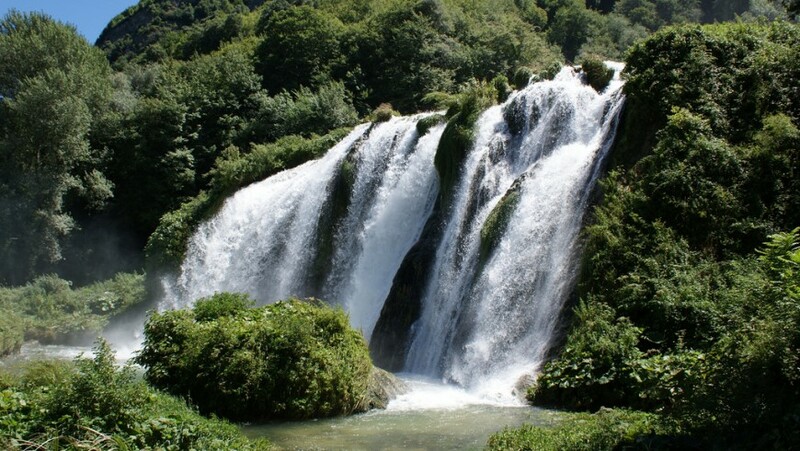 Considered one of the highest in Europe, Marmore Falls are divided into three spectacular jumps for a total altitude of 165 meters. 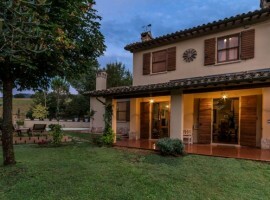 It is located in Valnerina, a lush and uncontaminated valley. Among the many ways in which you can reach this natural show, there is also a beautiful slow itinerary by bike to explore Umbrian nature. We start from the beautiful village of Spoleto and follow the old Spoleto-Norcia railway, which has become an exciting trail. We then cross the Nera River and thus reach the destination. At the waterfall you can enter from two points, from the Lower Belvedere or from the Upper Belvedere. From the first one you have a complete view of the three jumps made by the Velino River throwing in the Black River. From the second you can see the first jump, with a spectacular view. Between the two entrances and around the waterfall, between holm oaks and ferns, there are 6 paths of varying length and difficulty. Path No. 1 connects the two entrances and also allows you to reach the “Balcony of Lovers“, a small terrace embedded in the rock, a few centimeters from the waterfall, offering a unique view. Umbria is a truly wonderful area where untouched nature is intertwined with medieval villages with unique charm and with cities with important artistic and cultural heritage. If you decide to spend a weekend visiting the waterfall, you can choose numerous destinations. A few kilometers away you will find Lake Piediluco and its hamlet, an oasis of peace that resembles an alpine lake. 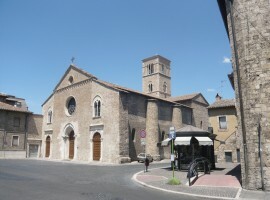 Terni is the city of Valentine’s Saint, and among its most modern buildings, it still hides ancient monuments such as the remains of the Roman Amphitheater and the San Salvatore Monument. Remaining in the province of Terni, it is worth visiting also Narni, a small town of ancient origins that keeps the fascinating atmosphere of a time. 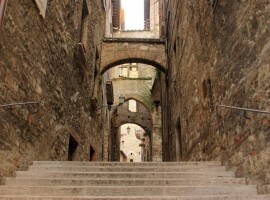 Here, you will not miss the Underground Narni, an exciting journey between hypogea, rooms and antique frescoes. For those who want to be in the middle of nature, we recommend Nera Greenway, a route dedicated to sustainable means. 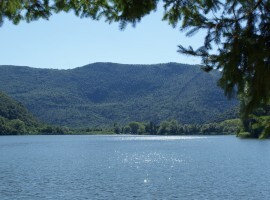 What to enjoy on your weekend in this corner of Umbria? 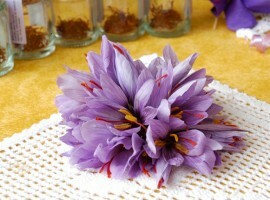 Valnerina boasts numerous high quality products including the Ham Of Norcia, the spelled of Monteleone di Spoleto, lentil of Castelluccio di Norcia, the purest saffron of Cascia, the valuable Black Melanosporum Truffle of Norcia and the Fario trout of the Nera River. 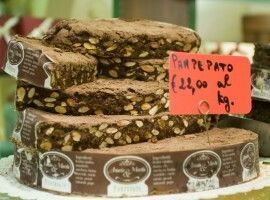 Among the typical dishes you can enjoy are the ciriole alla ternana (typical pasta with seasoned spicy sauce), polenta alla Valnerina, prepared with spelled flour and accompanied by sausage and lentil sauce, and the sweet Pampepato, typical of Christmas, prepared with nuts, hazelnuts, almonds, pine nuts, honey, chocolate and nutmeg. 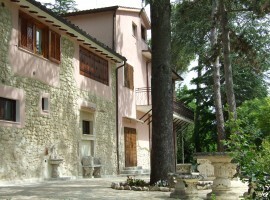 For your weekend in Umbria we recommend two eco-friendly accommodations: the B&B I Cavalieri del Lago, stone villa on the shores of Lake Piediluco offering a heated swimming pool and organic garden, and the elegant Villa Louise in the Spoleto countryside, with a beautiful garden and luxury accommodations. This entry was posted in journeys and tagged bicycle, eco hotels, ecotourism, food, Italy, Marmore falls, natural parks, nature, responsible tourism, responsible travel, slow travel, sustainable tourism, Umbria, waterfall. Bookmark the permalink.